﻿This is the Outdoor portion of the Scoutmaster / Assistant Scoutmaster training. 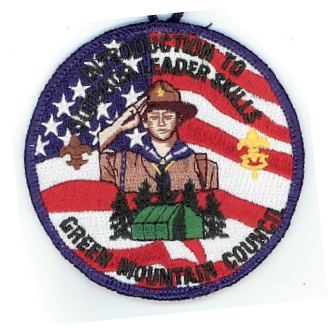 This training instructs you on how to teach basic Scout skills to advance a Scout to the rank of First Class. COST: $40.00 No walk-ins accepted, meals will be furnished. Please have dinner Friday night before arriving. Send the completed packet and fee to the Council office. Class size is limited to 40 leaders. Minimum class size of 16. What to bring: Camp chair, cup, bowl, plate, eating utensils, personal camping equipment (see the overnight campout section of the Boy Scout Handbook), and a BSA medical form.